Gov. Matt Bevin outlines his vision for the Kentucky economy and its people. When you are only the third Republican to be elected governor of your state since World War II, and the second elected since 1967, it’s safe to say that you’re comfortable with challenging the status quo. For Matt Bevin, who was sworn into office Dec. 8, 2015, as the 62nd governor of Kentucky, taking on the entrenched establishment has never been a problem. A self-made entrepreneur, businessman and manufacturer, Bevin put his Army training to good use in the private sector. Now he’s putting his military officer credentials to good use as CEO of Kentucky. 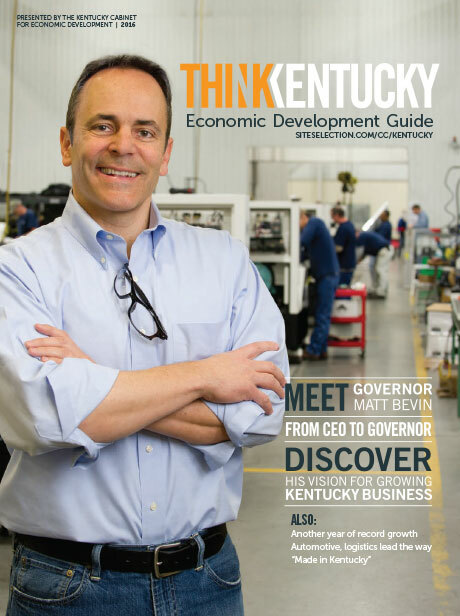 Having campaigned as a reformer, tax cutter and right-to-work advocate, Bevin recently told the Kentucky Economic Development Guide that he plans to focus on three top economic development priorities: expanding and better training Kentucky’s workforce; reinvesting in infrastructure; and working to make Kentucky the preferred destination in America for advanced manufacturing. “We will be the crown jewel in the manufacturing sector of America,” the 49-year-old graduate of Washington and Lee University said. In the following in-depth interview, Bevin shares his vision for Kentucky. You have been a businessman and entrepreneur your entire career before becoming Governor. How will your businessman background guide you? GOV. BEVIN: The decisions I’ll make, will be largely driven by what I know as a businessman – which is how to incentivize folks in the private sector to succeed. Since I was a kid, I have always been an entrepreneur, and I have always had an interest in international opportunities. I was blessed by an abundance of intellectual curiosity and this has opened many doors for me through the years. It is this same way of thinking that I plan to bring to Kentucky state government. Many great ideas are already being implemented elsewhere. We don’t have to reinvent the wheel. This is what business people want. They want to know, is government being responsive to my needs? Is the tax structure correct? Is the quality of the workforce what’s needed for my business? Is the permitting, regulation and bureaucracy kept to a minimum to let me focus on my business? I will be mindful of these things as I implement my economic plan for Kentucky. 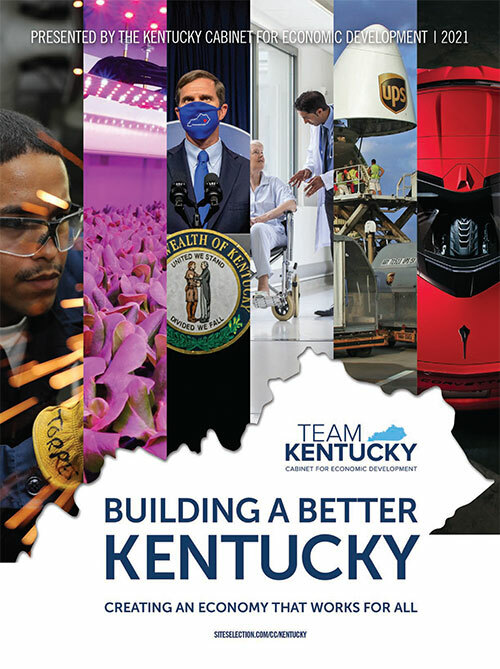 What message will you deliver to businesses considering Kentucky for a new or expanded location? BEVIN: My message will be that this is where we make things in America. I want people to recognize that if you want something made in America, the best place to locate is Kentucky. Whether it is easily recognizable products like Toyota, GM, Ford, Bosch, and GE or whether it is specialty film, aviation parts, or bourbon barrels, this is where we make things. There is no better place in America to make things. When you go to places like Berea and look at the arts and crafts still being created by people there today, you see that the heritage that we have is astounding. Here in Kentucky, we attract people from all over. It’s been said that, at times, it is hard to get someone to move here. But it is even harder to get people to leave. There are many people who have never been to our state. When they come for the first time, they are blown away by the culture, cuisine and hospitality. It is easy and enjoyable to live in Kentucky! In Costa Rica, their motto is Pura Vida — meaning “pure life.” There is an element of Pura Vida in Kentucky. It is a life grounded in basic things. We have strong spiritual values. We have strong social commitments. We have a strong work ethic. Governor Bevin visits Denyo America in Danville. We are a place that blends Southern hospitality and graciousness with Midwestern sensibilities and work ethic. This special blend does not exist anywhere else in America. You took office in December and already you have become actively engaged with Kentucky businesses. What has that experience been like? BEVIN: It has been positive. I love to interact with people who work and make and sell things for a living. I always have. That is where my heart is. When I went to the North American International Auto Show in Detroit, some of our biggest employers were there. I met with Ford, GM, Toyota and their suppliers. Everyone in the world of automotive was there; with their best foot forward and their best products on display. The best-selling automobile in America year after year is the Toyota Camry, made in Kentucky. Many of the Ford F-Series trucks, best-sellers for decades, are made in Kentucky. From Chevy Corvettes to the Lexus ES 350, some of the most popular brands in America are made here. This proves that we have the ability to put out an extraordinary product. General Motors just invested more than $400 million into a new paint line. With that kind of investment, I suggested to GM that they need to be making even more cars in Kentucky. I smiled when I said it, but I wasn’t kidding. I’d love to bring more GM production lines to Bowling Green. Ford just announced a huge — $1.3 billion — investment into its Louisville Ford truck plant. The ES 350 Lexus is now being made here at our Georgetown Toyota plant. After another half billion dollar investment, this is the first Lexus ES 350 ever produced outside of Japan. What a compliment to our plant and our people. It is a vote of confidence for the type of work we can do here. When people think of Kentucky, I want them to know that we make things here, we make them well and that it is easy to do business here. I want this to be the first place people come for manufacturing. We will be changing tax policy and regulatory policy in Kentucky to make this a more business friendly state. As a businessman, what do you consider as Kentucky’s major advantages? BEVIN: One of our chief advantages is our central location. We are well positioned in the middle of North America. We are blessed with a confluence of strategic roadways and rivers. You could not replicate this at any price. Additionally, we have four seasons, none of them too extreme. We have great topographical diversity. We have an abundance of coal that gives us cheap energy. We have two distinct coal basins; the Central Appalachian Basin and the Illinois Basin There are other tremendous natural resources here as well. We have a huge supply of timber in this state and an abundance of fresh water. We have advantages that other states cannot easily replicate. There is truly no better place to make a product. Our logistical hubs are unmatched. Look at the UPS World Port in Louisville. Look at DHL in Northern Kentucky. Look at the peripheral industries that have grown up around these shipping hubs. The widening of the Panama Canal will allow us to make our ports on the Ohio River capable of sending products to anywhere in the Eastern Hemisphere by ship. Governor hosts luncheon with Kentucky Automotive Industry Association representatives. What and where are Kentucky’s biggest opportunities for future growth? BEVIN: Our biggest opportunities will be in advanced manufacturing. We have the proven sophistication to make high-tech products. Why not make more of them? We have been doing great work with companies in Germany. More of those firms are starting to come to Kentucky. Many Japanese firms are doing this too. Most folks don’t know that aerospace is our top export. The No. 1 contributor to exports in Kentucky is advanced avionics. With all due respect to any other state, why should any company not make aviation parts in Kentucky? With innovative programs in aerospace such as those available at Morehead State University, I am confident we will see more of this. On a related front, Eastern Kentucky University is world class at pilot training. There is an aging population of pilots in America and they are not being replaced at the rate needed. We are moving toward more private air travel. Nobody is better positioned in this field than EKU. They are putting out the finest quality pilots you will find anywhere in America. We could be the aviation and aerospace hub for America. As governor, I will be intentional about making this happen. Kentucky has long had a significant and diverse international presence, with some 450 international companies from 33 nations having facilities in Kentucky. How do you plan to develop even more international investment during your administration? BEVIN: By being very proactive. By selling Kentucky. By letting people know we are open for business and welcoming them in. We will show them the red carpet. There is nowhere else in America that will take better care of them. We are going to focus on workforce development like we never have before. We are in a great position to do this. Gov. Bevin has sworn to make workforce his No. 1 economic development priority. I have a degree in East Asia studies and even lived in Japan in the 1980s. I have done business in many countries. Prior to becoming Governor, I have visited all of our top trading partners — Canada, Mexico, Japan and Germany. We will work with them to accommodate their needs. I met with folks from France, India, Germany and Japan in just my first month in office. This is a huge opportunity for us because of our logistical capabilities. They want to be able to put their parts on a plane and send them to any location in the world overnight. What are your top economic development priorities for the upcoming year? BEVIN: Workforce development, no question about it, is number one. Everything we aspire to economically, is contingent on us having a workforce that is ready and able to fulfill the needs of our employers. We are going to be the manufacturing hub of excellence in the U.S. Two things will make this possible. The difference between where we are now and where we want to go economically, will be our investment in education and our investment in infrastructure. We have to make sure we invest the taxpayers’ money wisely. People must have the ability to get their goods to market in a timely fashion. I view it from an ROI standpoint. We in state government need to start looking like business people at the return on investment. In this case, the investment is the taxpayer’s dollar. The Kentucky taxpayer is investing in the future of Kentucky. I want people to know that when they invest in Kentucky, they can feel great about the return they are getting. With proper investment of our tax dollars, we will be the crown jewel in the manufacturing sector of America. I am excited about making this happen. "I want people to recognize that if you want something made in America, the best place to locate is in Kentucky." Kentucky keeps moving the needle forward with a record-breaking year and $9.2 billion in investments.